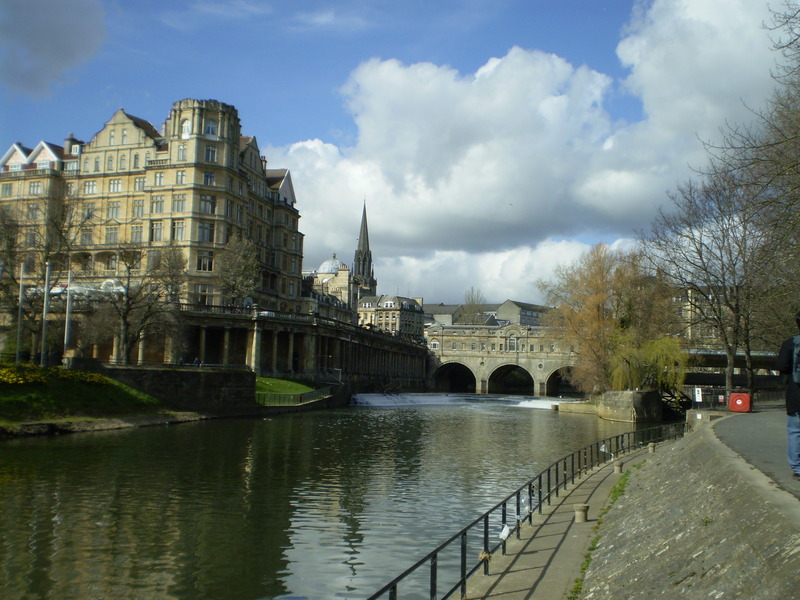 Bath has been registered as a Unesco World Heritage Site since 1988 and is best known for its natural hot water springs and elegant 18th century architecture. Legend has it that Prince Bladud discovered the hot water springs and built a Temple at the site dedicated to his Sun God ‘Sulis’. In ruins by the time the Romans arrived the temple was restored and became a place of rest and recreation for their troops. It was dedicated to ‘Minerva’ the Roman God of ‘Wisdom’ but in deference to the local tribes the name ‘Sulis’ was retained – hence ‘Sulis Minerva’, the Roman Baths you visit today. Following the Roman departure Bath became a Monastic Centre, an important woollen town and, in the 18c, the centre of fashion and frivolity. Attracted by its curative waters, gaming tables and active social life Royalty and Nobility flocked to Bath for the ‘Season’ creating demand for the great squares, crescents and terraces for which the City has become rightly famous. Today Bath is a multicultural city of 85,000. Its two universities are highly regarded academically and the largest, Bath University, is renowned for its world class sporting facilities which are home to many of our aspiring Olympic athletes. The legends associated with Prince Bladud. The source, curative powers and scientific analysis of the hot water springs. Where you can ‘take the waters’. The location of the Lantern of the West. The origin of the phrase the ‘stinking rich’. Where and when the last armed dual took place at sunrise. Which famous female author lived in the City. The answers to these questions and much more will be forthcoming on a walk with a Blue Badge Guide who will doubtless entertain you with numerous myths and legends associated with the City.